BlogDay 46: That's a Wrap! Day 46: That’s a Wrap! Though it might feel like the Apogee summer started just last week, somehow we now find ourselves saying final goodbyes to students in New England and Costa Rica, capping-off Day 46 and the 2018 Apogee season. We can’t even begin to thank all of the wonderful folks – parents, leaders, and, of course, students – that helped make the last two months so wonderful. Thousands of miles were bikes, dozens of summits hiked, countless community engagement projects worked, and so much more. Our youngest adventurers head home after seven days of hiking, biking, kayaking, and community service. Tonight, they’ll dream of the Maine coast as they snooze soundly back in their own beds. After a delicious Italian dinner in Freeport last night, Alex & Josh’s crew said their goodbyes this morning. Alex & Josh report that it was a bittersweet farewell, and they miss their group already! Joe and Nicole’s crew said adios to the Isla del Encanto as they got on their planes to head home. After completing many hours of community service on the island, these Apogee students are heading home knowing they left their mark on the island. Until next time, Puerto Rico! After their final photo show yesterday, Apogee’s newest photographers headed back home today, equipped with great photos and great memories. Apogee’s inaugural Maine Farm to Table trip finished up today after their 100% farm-sourced final dinner last night. After 10 days of farming, clamming, cheese making, kayaking, and preparing a public community dinner, MFT is in the books! Both DEX groups wrapped up their two weeks together this morning. 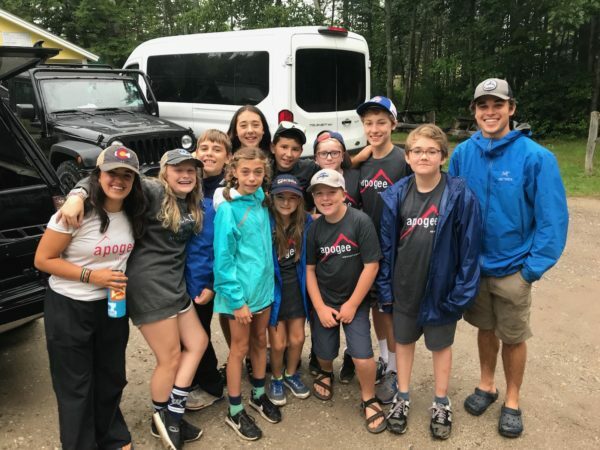 Over the last two weeks, they backpacked along the Appalachian Trail, kayaked and slept on islands off of the Maine Coast, hiked Acadia National Park, and explored Portland to top it all off. Farewell, DEX friends! Mark and Eliza’s team bid farewell to each other at the airport in San Jose this morning! Adios to the Pura Vida lifestyle, and thanks for all the memories, Costa Rica!